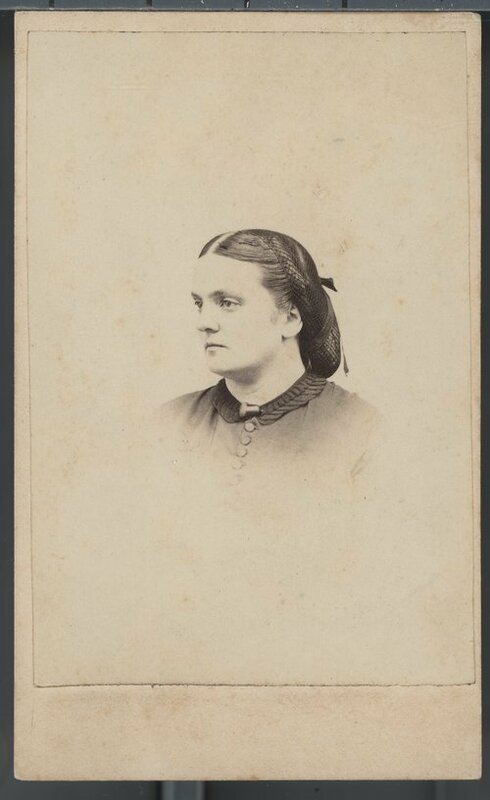 A sepia colored portrait of Mary Elizabeth Bliss Haskell, wife of John Gideon Haskell. The couple married in 1859 at her parents home in Massachusetts and eventually moved to Lawrence, Kansas in 1860. After William Quantrill's raid on the town of Lawrence in 1863, Mary ventured back to her parent's home for her safety and for the safety of her unborn child. In the closing days of the Civil War, Mary and daughter Harriet returned to Lawrence in 1865, to resume their life with John.